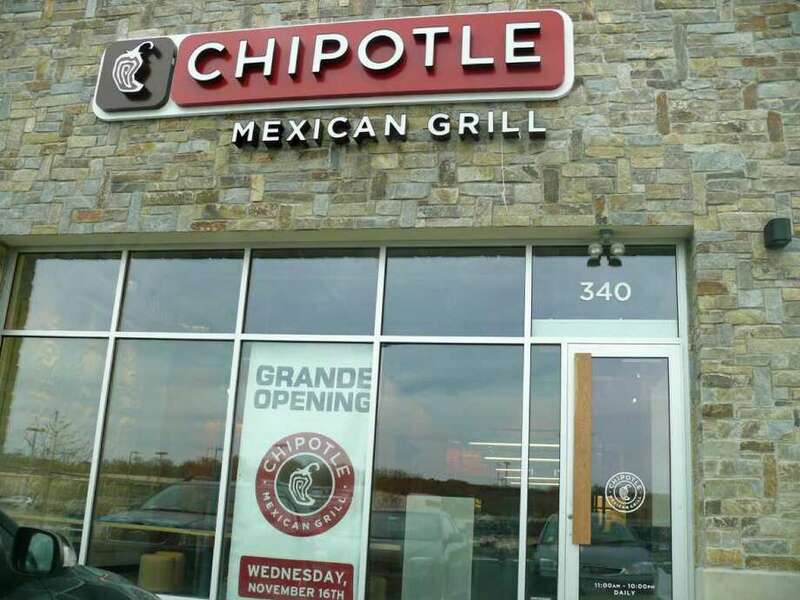 Another national outlet, Chipotle Mexican Grill, is opening in the Kings Crossing Shopping Center. The heat is on at Chipotle Mexican Grill, the latest outlet of a national chain to open in the Kings Crossing shopping center. Thursday's grand opening marks the third restaurant for Chipotle in the area -- there are also outlets in Darien and Milford. It joins more than 1,100 Chipotle restaurants around the nation. The Chipotle chain is known for its quick service and gourmet burritos, bowls, tacos and salads using fresh ingredients prepared to order in an open kitchen. The restaurant's vision is "Food with Integrity," according to promotional materials, and the business this year expects to use over 10 million pounds of produce from local family farms, chicken and pork raised on an all vegetarian die with no added hormones or antibiotics, naturally and "humanely" raised beef and sour cream and cheese free of growth hormones. "There aren't a lot of moving parts to our menu, so we can focus on grilling the perfect chicken, steaming the perfect rice, slow-cooking the best beans and finding the freshest avocados to mash into guacamole," said Steve Ells, the Chipotle founder and chairman, in a press release. "The flavor of our food is complex, but we use very simple ingredients." The Fairfield restaurant will employ between 25 to 30 people, and neighbors were invited to dine at the restaurant earlier in the week to help train the crew in preparation for the grand opening. The restaurant will have seating for 44 inside and another eight seats on the patio. It will also offer fax and on-line order pickups. It will be open from 11 a.m. to 10 p.m. daily. Chipotle joins a Whole Foods Market and CVS pharmacy already open in the new shopping center at Grasmere Avenue and Kings Highway. Works continues on a Five Guys Burgers, a PETCO store and a Chase Bank branch. For more information, call 203-255-7665 or visit www.chipotle.com.